Our very first Warwickshire Children's Chorus! We believe that high quality music education should be available for all; regardless of social or financial background. Music has the power to change lives, improve wellbeing, raise self esteem, develop self discipline, build team work and add fun and enjoyment for everyone. 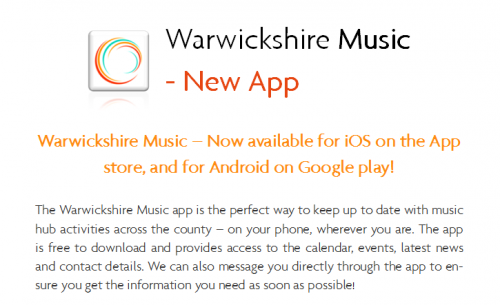 Warwickshire Music and our partners believe that, working with you, we can help create better outcomes for everyone. 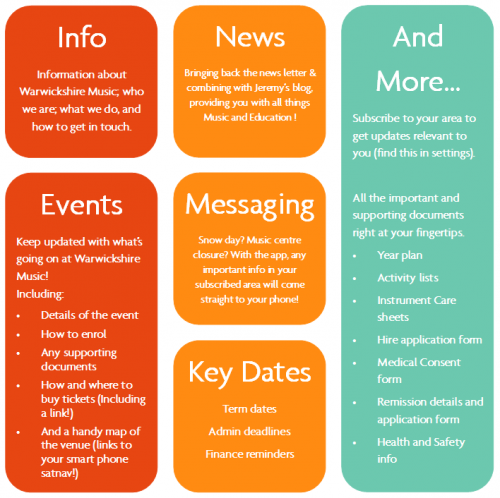 Warwickshire Music is committed to safeguarding and promoting the welfare of children and young people and expects staff, parents and volunteers to share this commitment. Give yourself, your family and your friends the gift of music by sharing this site. 'Saw the concert tonight in Warwick Arts Centre - absolutely amazing! I am a Grandmother, not on Facebook or Twtter, but went to see our Granddaughter playing violin in area strings. What a wonderful thing music is and Stringfever blew me away with their talent. Thank you to everyone concerned in the teaching and production of these concerts'.